Microsoft has already laid into Gmail plenty, telling its users they're getting Scroogled and all, so it's on to phase two: showing them how to easily transfer everything to Outlook.com. "The thought of switching to a new service can seem daunting," sympathized Naoto Sunagawa, a senior program manager lead at Microsoft, in a blog post. "So we've introduced new functionality right into Outlook.com that does the heavy lifting for you." The official "Import your Gmail into Outlook.com" process works in a few steps that involve connecting your Gmail account using OAuth to an already-setup Outlook.com account. More detailed instructions go over the fact that Google uses labels for Gmail, while Microsoft still prefers folders for Outlook.com. The company advises cleaning up any unused labels first. Outlook.com is Microsoft's attempt to challenge Google's personal email dominance, expanding its mostly enterprise-focused Outlook client. "We wanted to build a service that was personal and designed for modern devices, with a clean user experience and smart and powerful tools that let our customers get things done faster," wrote Sunagawa. This reflects Microsoft's often-used "entertainment and productivity" mantra and is one of the many reasons it needed to rebrand the email service from Hotmail to Outlook.com a year ago. 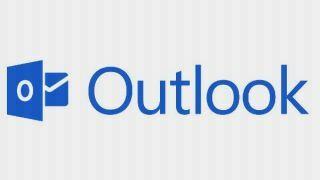 Outlook.com hasn't been without hiccups, from outages to alleged links to the US government's Prism spying program. However, it successfully launched Skype integration to rival Google Hangouts and a much-needed makeover for Windows 8.1 within the last few months. Today's Outlook import tool is another step in the right direction, though one that Microsoft should've had ready closer to 16 months ago in time for Outlook.com's launch. Still, Sunagawa cited a recent Ipsos Public Affairs study that indicates one in four people would switch email providers if it was easier to do so, suggesting there's no time like the present for Microsoft to steal Gmail users. Read: 10 ways Outlook.com beats Gmail.